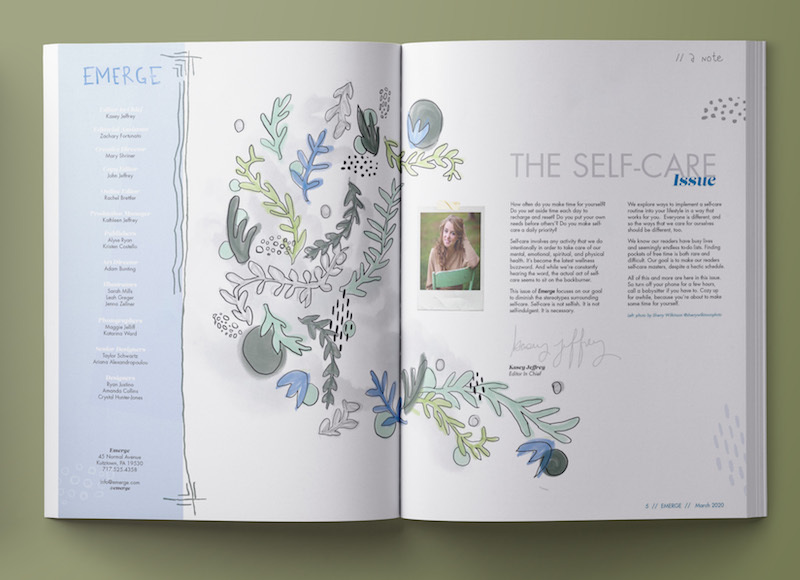 Emerge is a health & wellness magazine that focuses on mindfulness and creativity. This specific issue is all about self-care and focuses on the goal of diminishing the stereotypes surrounding it. 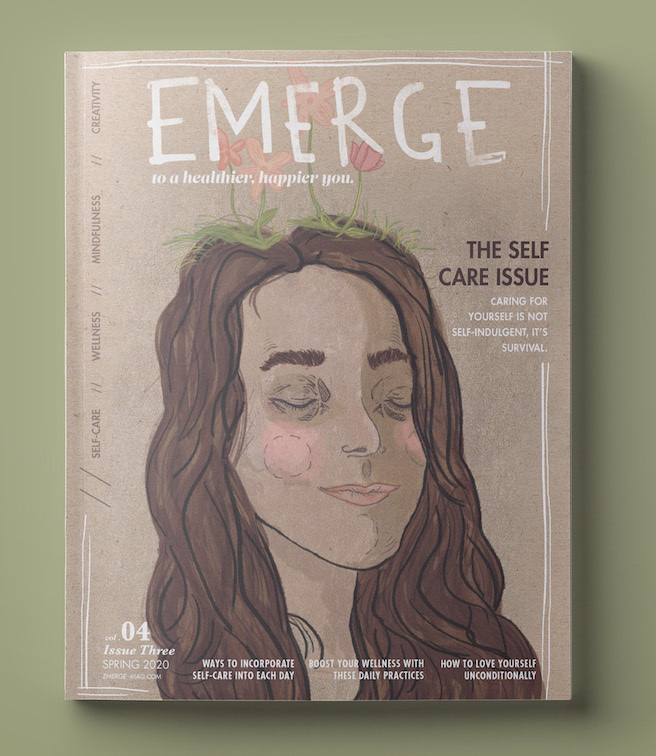 Inspired by this issue, Emerge released a mobile app to help readers/users track their wellness habits.